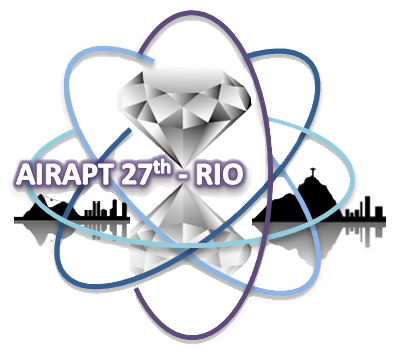 The 27th International Conference on High Pressure Science and Technology (AIRAPT27) will be held in Rio de Janeiro, Brazil, from the 4th to 9th August, 2019. AIRAPT has a new logo! The logo was selected by the AIRAPT Executive Committee among a large number of proposals. The selected logo was designed by Dr. Philip Dalladay-Simpson (HPSTAR, China), to whom the AIRAPT is deeply indebted for his important contribution. Thanks are also due to all participants in the call, whose artistic and creative designs made the competition tight. At the 26th AIRAPT Conference in Beijing, 2017, it was decided to create a task group for discussing an International Practical Pressure Scale (IPPS). In April 2016, the AIRAPT Executive Committee was contacted by M. François-Yves JULIEN, archivist of the Academie François Bourdon (AFB). In 2003, the Institut Universitaire de Technologie Le Creusot had asked the AFB to take care of a large amount of AIRAPT documents, and M. Julien needed clarification on their status. The Executive Committee proposed (*) to deposit these documents at AFB for an indefinite period of time. The AFB will take care of this material, index it and make an inventory.